Welcome to All American Inflatables! 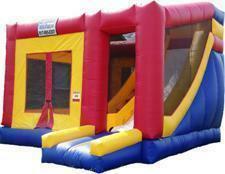 We're your home for Fort Worth Texas Bounce House Rentals. to offer a huge selection of Water Slides, Obstacle Courses, Interactive Games, Combos, Bounce Houses and more. All American Inflatables is proud to offer delivery of our party rentals, bounce house rentals, and water slide rentals to Fort Worth, Arlington, Haltom City, Saginaw, Keller, Richland Hills, North Richland Hills, South Lake, Colleyville, Haslet, Hurst, Bedford, Euless, River Oaks, White Settlement, Mansfield, Kennedale, Crowley, Burleson, and MORE!! !